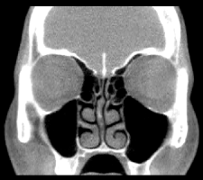 There are several sinuses locating around to your nasal cavity. They connect to the nasal cavity by tiny openings that can be occluded easily if there are inflammations in the nose or sinuses. Inflammation in this area can be caused by a cold, a flu, a bacterial infection, and/or allergy. Therefore, sinus infections or sinus diseases usually go together with allergy symptoms and are called rhinosinusitis. It is very important to recognize and treat your allergy early so it does not get into your sinuses causing sinus infection. A more debilitating condition and complication of not properly treated allergy and sinus infection is chronic sinusitis or chronic rhinosinusitis. It is characterized by prolonged, usually more than 8 weeks of sinus headache, pain around the eyes, cheeks, nose and forehead, nasal congestion and difficulty breathing through the nose, drainage of thick colored mucus through the nose or down in the back of your throat, and/or even reduced or loss of sense of smell or taste. This condition is associated with a significant poor quality of life and induces a significant cost burden for you, your family and society. 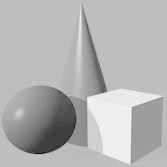 In the US, about 60% of patients with chronic rhinosinusitis have allergy. 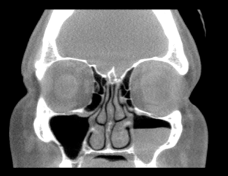 Other rarer conditions associated with it are nasal polyps, aspirin sensitivity, primary immune deficiency, acid reflux disease, autoimmune diseases, allergic fungal rhinosinusitis, and abnormal anatomy of your naso-sinus structures. If you or your family have or suspect of having any of those symptoms, please come and discuss with us to see how we would help prevent it from recurrence and improve your quality of life. Below are services and procedures we offer at Texas Allergy for diagnosing and treating this condition.